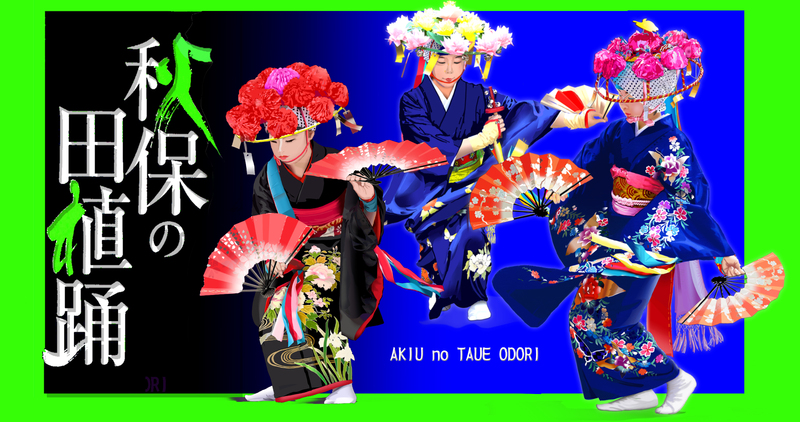 Important intangible folk cultural property "Akiu no Taue Odori" is a generic name of three Taue Odori handed down to the Baba district, the Nagafukuro district, and Yumoto district in the Sendai City Taihaku district Akiu-cho respectively. Taue Odori is a dance done praying for the good harvest of the age on January 15 of the moon calendar that is called Kosyogatsu The girls who wear gorgeous clothes do a lot of magnificent dance besides the dance to imitate planting rice. 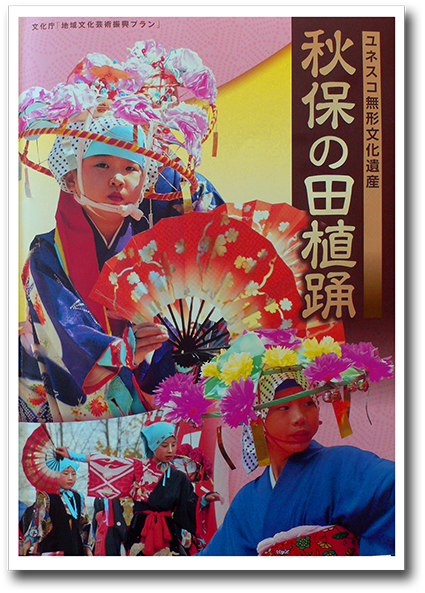 Moreover, the entertainment of the Kyogen and Teodori was done at intervals of girl's dancer. 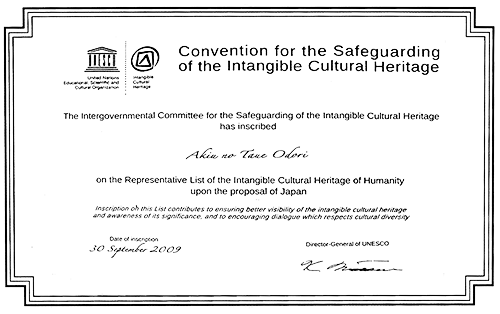 It was recognized that it was human race's typical culture from such a feature by UNESCO, and was recognized Akiu no Taue Odori in "The Representative List of Intangible Cultural Heritage of Humanity" on September 30.2009.
copyright©2013 AKIU KYOUIKU BUNKA SHINKOUKAI　all rights reserved.